Visit the largest alien and ufo news website webelieveinaliens. Venus passes in front of the sun - Don't miss it ! 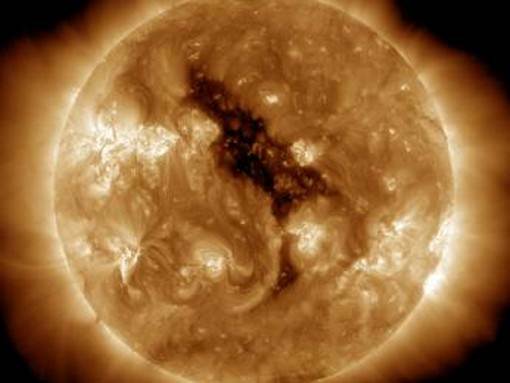 The planet Venus is about to pass in front of the sun, an event that once it’s gone won’t reoccur for yet another 105 years, meaning, if you miss it, you probably won’t see it again in your lifetime. The next one won’t come until 2117. So if you’re into rare sky phenomena, today is as good as it gets. But just like the moon causes a ‘ring of fire’ when it passed in front of the sun just 10 days ago, and you were required to watch the event using special lenses, you also must use special filters to watch this event. The video below shows you how to make a special scope that will let you experience Venus pass in front of the sun without damaging your eyes. The occurrence, known as ‘the transit of Venus’ can best be seen in Australia and New-Zealand but can also be observed from places in the United States as well as the rest of the world, except for South America, Western Africa, the Iberian Peninsula, Antarctica and the middle of the Atlantic. Venus’ disk begins to pass over the left edge of the sun’s disk a little after 6 p.m. ET, and makes a stately crossing that lasts until about 12:50 a.m. ET.